The Yankees activated left-hander CC Sabathia from the 10-day injured list on Saturday, and he is scheduled to start the afternoon game against the Chicago White Sox. 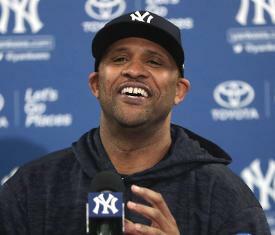 Sabathia, a 38-year-old lefty, hasn't pitched yet in 2019 as he continued his recovery from offseason knee surgery and angioplasty. He was on the active roster earlier in the season to serve a five-game suspension - a holdover from last season. An 18-year veteran, Sabathia has announced this will be his final season. Tarpley, 26, had pitched three innings over four games for the Yankees this season, giving up two earned runs and striking out three.